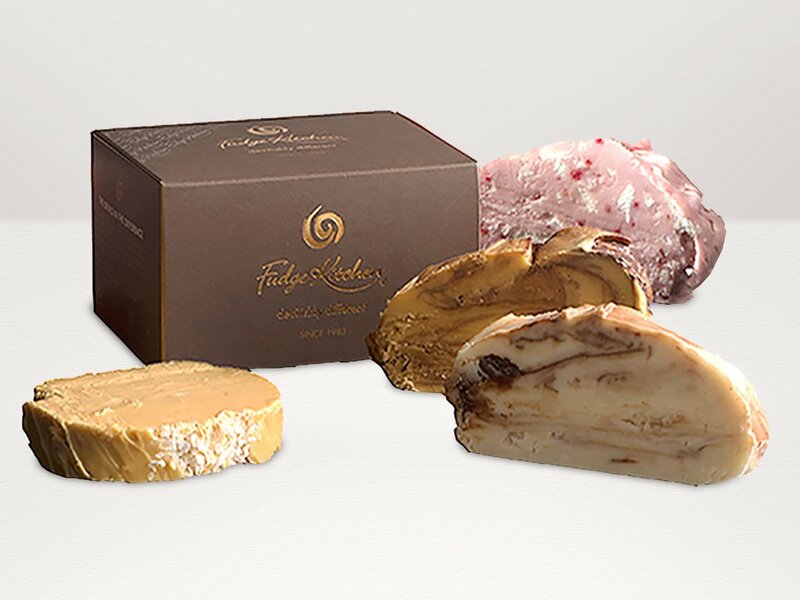 Our best selling flavours ensure a perfect birthday hit. It's always someone's birthday! Here's a fantastic selection of our party favourites everybody loves. Hand wrapped, the four slices come packaged in our stylish box. All you need do is add a personalised message! ETON MESS: Sugar, CREAM, Water, Glucose Syrup, Inverted Sugar, Frozen Raspberries (3%), Dextrose, Meringues (Sugar, Pasteurised EGG White) (1%), Salt. CHOCOLATE CARAMEL: Sugar, CREAM, Water, Glucose Syrup, Inverted Sugar, Cocoa Powder (2%), Dextrose, Handmade Caramel (1.1%), Salt. 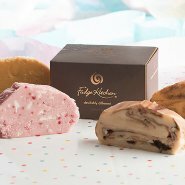 Great selection of fudge, lots of different flavours- perfect birthday gift! Great taste and delivered on time. Bought this for a friend's Birthday , so I haven't tasted it personally, but I know it will be delicious! 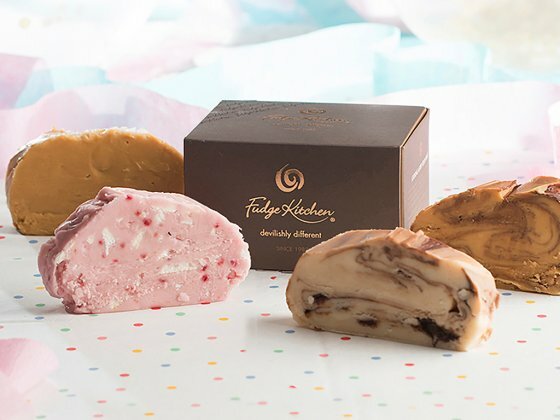 It didn't come with a Birthday sleeve, as per the website and one of the flavours wasn't as stated, but Fudge Kitchen were quick to respond to my query on this. They apologised for the error and sent a replacement flavour, telling me to keep the incorrect one, as a gesture of goodwill. 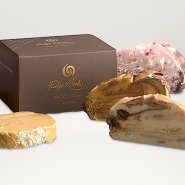 Very pleased with the service and their fudge is fantastic!